Silver Shadow recently announced that the company is manufacturing and shipping the long-awaited double-barreled DBR Snake in .223 Rem. Several videos and promotions about the unique AR-style platform caused much curiosity over the last few years, and now the rifles are being produced in the U.S. While the rifle looks unique, Silver Shadow claims the Gilboa DBR Snake features 100-percent commonality with traditional AR-15s. Moreover, the company utilizes CNC machining processes and state-of-the-art equipment to produce an improved chassis, according to Silver Shadow. Various distributors and dealers will carry the rife. Further, the next batch is expected to ship sometime in February, according to Silver Shadow. The company also announced recently that it would be displaying product again this year at the upcoming SHOT Show in Las Vegas. Israeli retired Lt. Col. Amos Golan, a former senior officer and Commander of Special Units of the Israel Defense Forces, founded Silver Shadow in 1995. 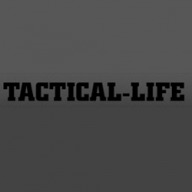 The company also made headlines with its Corner Shot, a tactical platform that enables law enforcement or military personnel to observe and engage threats around a corner or obstacle. The system adapts to fit Glock, Sig, and Beretta pistols, as well as select rifle platforms. For more information, visit gilboa-rifle.cornershot.com. The post Silver Shadow Now Manufacturing, Shipping Gilboa DBR Snake appeared first on Tactical Life Gun Magazine: Gun News and Gun Reviews.